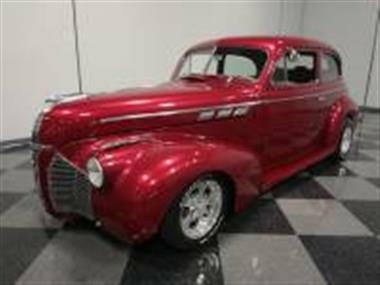 1940 Pontiac Other in Lithia Springs, GA for sale. 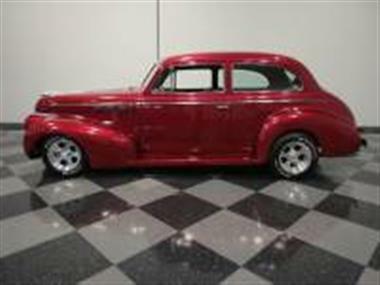 OKand#44; admit it: you havent seen many Pontiac hot rod before. Thats okayand#44; because there arent a lot of them at the cruise-insand#44; but there certainly should be. 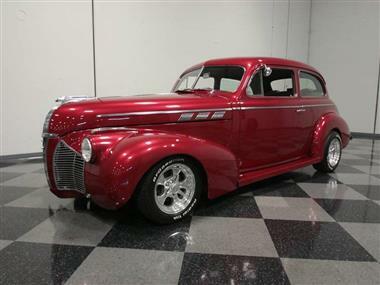 This 1940 Pontiac Deluxe 2-door sedan makes it easy to love the Excitement Division and its slick pre-war shape. With reliable small block powerand#44; a family-friendly interiorand#44; and an awesome fat-fendered lookand#44; nobody will blame you for falling in love.<br /> <br /> Although the GM intermediates shared bodiesand#44; they each had their own unique lookand#44; and many will argue that the 1940 Pontiacs were the best-looking of the bunch. The front end was quite distinctive with its faired-in headlights and horizontal grillesand#44; and body details like the famous Pontiac silver streak chrome running down the center of the hood look downright awesome. Magnetic Red paint from a C5 Corvette is gorgeous and suits the big Poncho just fineand#44; showing off its more interesting features without being overpowering. Finish quality is quite goodand#44; although its been driven and enjoyedand#44; so its not really a show car today. The doors fit well and the long pointed hood snugs up tightly to the cowland#44; so no unsightly gaps thereand#44; more indications of careful workmanship. The original chrome and trim remains largely intactand#44; including the strips of brightwork running along the flanks from nose to tail as well as the original hood ornament and grilles. 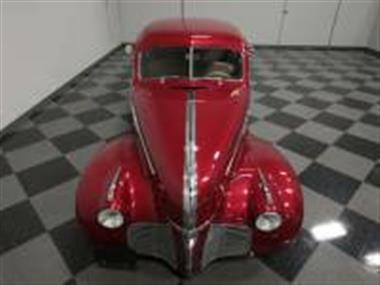 The bumpers have been shaved which makes a remarkable difference in the sleek lookand#44; but thats about it for body mods. The sucker just looks right.<br /> <br /> For a lot of folksand#44; a full-sized hot rod makes a lot of senseand#44; and this two-door sedan is a fantastic road trip machine. 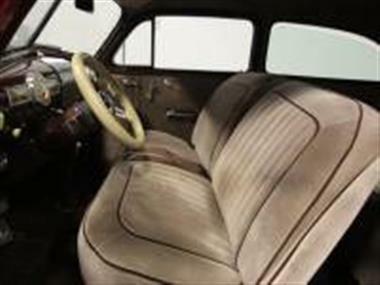 The original seats were reupholstered in durableand#44; handsome tan fabric which retains the vintage look without being excessively customized. Simple door panels with original moldings and billet hardware help keep the link to the past alive and the color-matched dashboard is rather nicely done. Factory gauges are pure art-deco style and are augmented by additional gauges under the dash. Add in a handsome leather-wrapped steering wheel on a tilt columnand#44; an AM/FM/cassette stereo radioand#44; and that huge back seat and you have a no-compromises Pontiac thats ready to rock. Theres even a good-sized trunk out back making it ideal for long-range cruises.<br /> <br /> A Chevrolet 350 cubic inch V8 replaces the Pontiacs original straight six flathead engineand#44; and its a neat fit in the pointed engine bay. You can see that the work was thoughtfully doneand#44; with nice service access and a cleanand#44; well-organized look that suggests a careful builder at work. 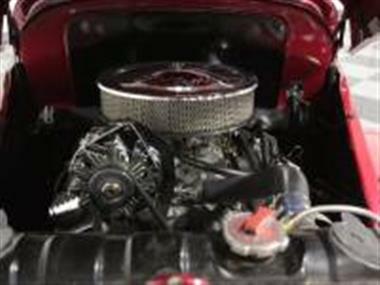 Theres an Edelbrock carburetor on a matching aluminum intake manifoldand#44; chrome valve coversand#44; and an open-element air cleaner on top. Custom headers fit tight to the block for good clearance and a rumbling dual exhaust system reminds onlookers that this is no stock Pontiac. A TH400 3-speed automatic transmission spins a Ford 9-inch rearand#44; while the front suspension was replaced by a late-model front clip. Leaf springs in back carry plenty of weight and the sturdy original frame doesnt seem to mind the extra horsepower flowing through it. 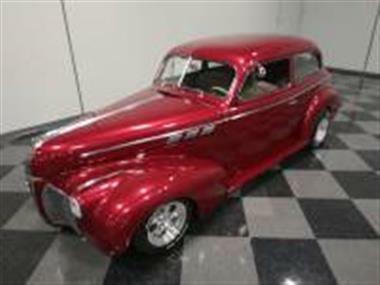 Cool American Racing wheels look great and carry 195/60/15 front and 215/60/15 rear BFGoodrich T/A radials for a sporty look.<br /> <br /> Attractiveand#44; practicaland#44; and fun to driveand#44; this slick sedan will make you rethink everything you think you know about Pontiac. 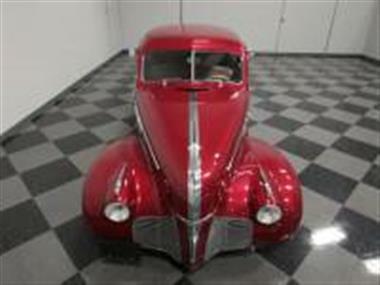 With restoration photos and a great lookand#44; its ready to drive and enjoy any time. Call today!